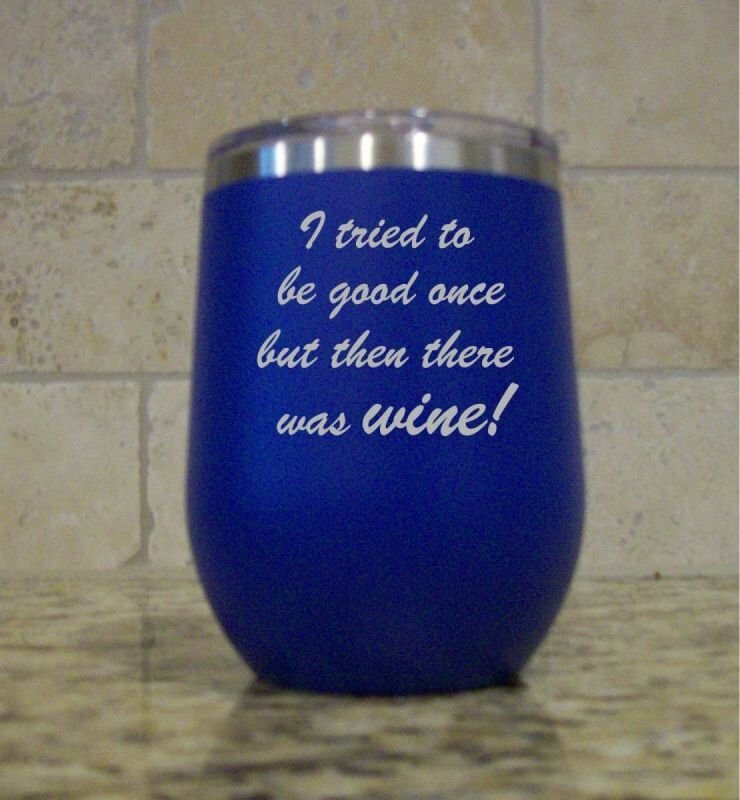 Our wine tumblers make great gifts for the wine lovers in your life. They hold 16 ounces of your favorite beverage. 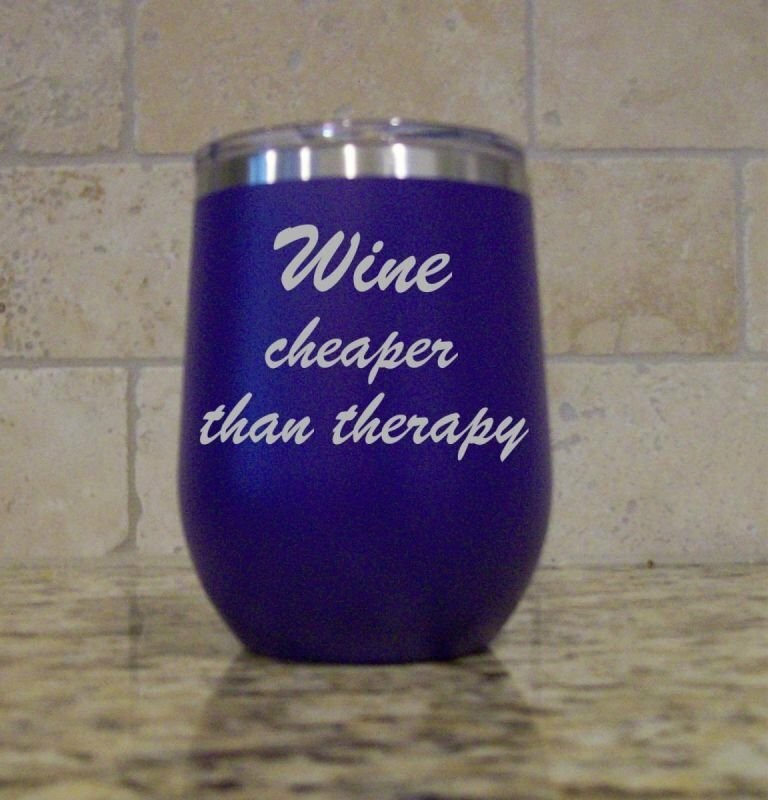 A great gift for Mother's Day; Birthdays; Bridesmaids; and more. Better grab one for yourself, too. 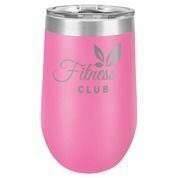 Perfect for wine on a warm summer day or evening at the ocean or by the pool. Available in 15 colors. 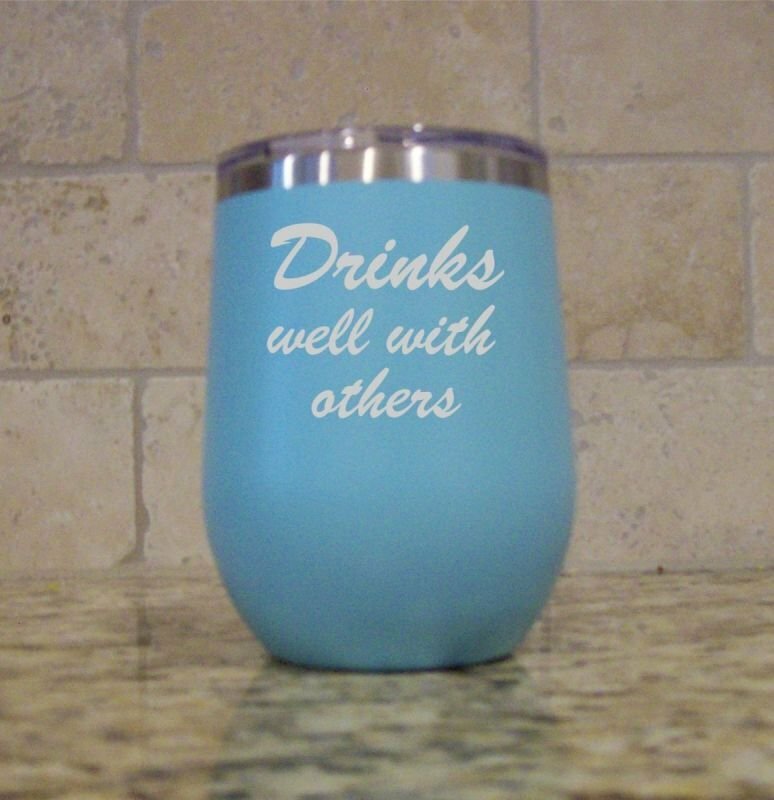 You are going to LOVE this stemless wine tumbler. 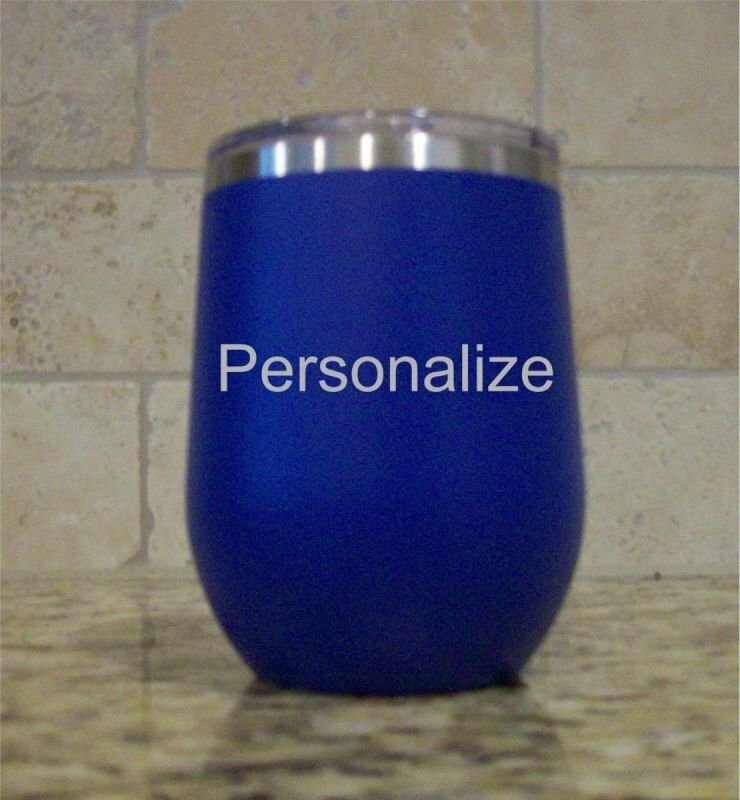 Personalize with your initials or unique saying or use one of ours.